. يقدم كويست مونت ألبرت سيرفيسد أبارتمنتس خدمات لا غبار عليها وكل أشكال اللياقة وحسن الضيافة اللازمة لإسعاد ضيوفه. إن مرافق مخصصة لذوي الاحتياجات الخاصة, تخزين الأمتعة, واي فاي في المناطق العامة, صف السيارات, خدمة الغرف هي جزء فقط من الخدمات التي تميز كويست مونت ألبرت سيرفيسد أبارتمنتس عن باقي الفنادق في المدينة. يمكن للنزلاء الاختيار من ضمن مجموعة من الغرف المصممة بعناية لتعكس جواً من الراحة، والتي يتجاوز عددها 50. كما أن مجموعة الخدمات الواسعة الموجودة في الفندق لضمان راحتك تترك لك الكثير من الخيارات لقضاء وقتك أثناء فترة إقامتك. إن كويست مونت ألبرت سيرفيسد أبارتمنتس هو خيارك لخدمة الفنادق الراقية في ملبورن. تبلغ تكلفة الإفطار الكونتيننتال 10 دولارات أسترالية للشخص الواحد في اليوم. 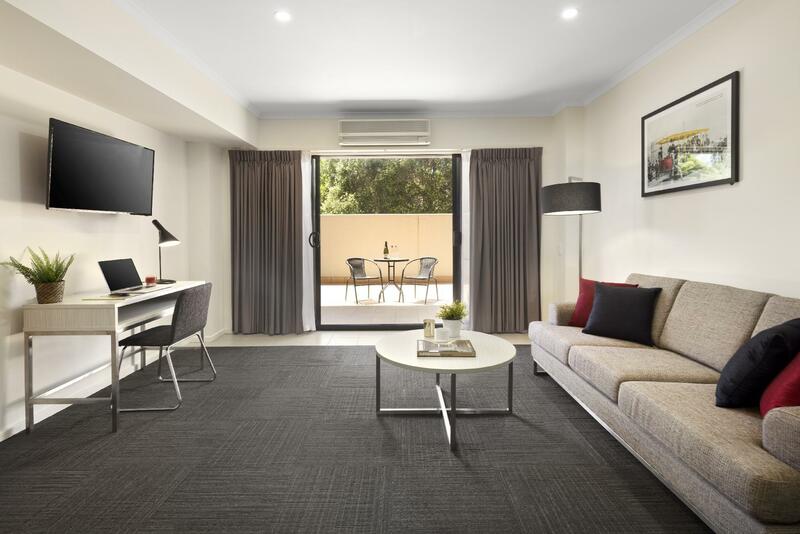 Staycation in January 2019 with my family; booked on Agoda for $144 1-br serviced apartment. Upon arrival the friendly male receptionist politely insistent he couldn't place us (wife, me, and 2 kids) in a single-bedroom apartment and recommended we upgrade to a spacious 2-br apartment for extra $70. We obliged. Pros: - spacious - very clean - functional amenities - good air conditioning - very comfy beds - good for business trips (see Con on Wi-Fi) - access to public transpo, shops (Westfields Doncaster) Cons: - Small gym - Nothing much to do for kids (will require venturing to nearby shopping centres) - Fast but intermittent wi-fi connection (quite frustrating if you're on VPN working) Overall, it was a pleasant experience and would recommend this for short stays in Victoria. to pay for a room for 2 adults and 2 children could sleep and then to recieve a cot for a 3 year old is dissapointing. having travelled from Sydney by car i stay in lesser know accomadations with both double bed and a single bed for our son. just really un happy with that, should of paid for the cheaper room and hired the cot at less of a rate. I have been staying in this Apartment for part 3 years and the quality and cleanliness of the Apartment are getting better and better. Strongly will recommend this Apartment. Thank you choosing to stay at Quest Mont Albert (Box Hill). It is always a pleasure having you stay with us and we look forward to seeing you back again soon! Very happy with our stay. 2-bedroom apartments are large and clean. Room is complete with facilities, including washing machine and dryer. 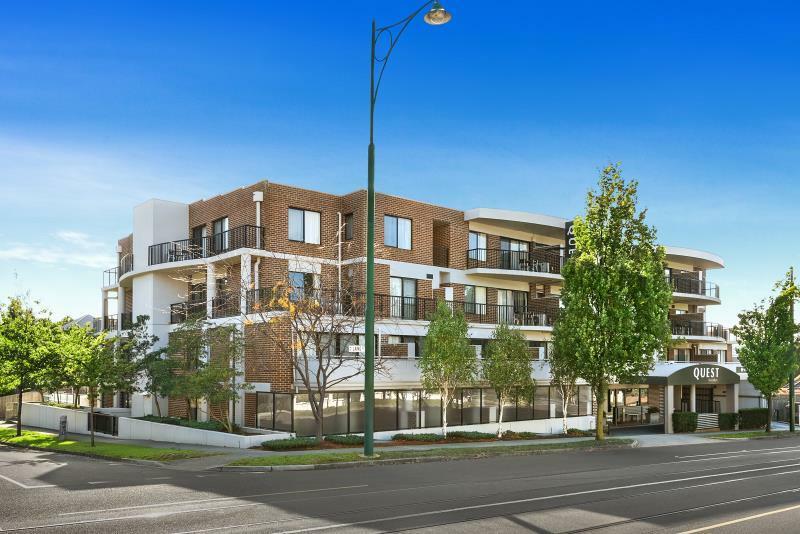 Tram stop is metres of the lobby and train station is a 5-minute walk away. Thank you choosing to stay at Quest Mont Albert (Box Hill). We love our proximity to Box Hill CBD and glad to hear that you enjoy it too! It is always a pleasure having you stay with us and we look forward to seeing you back again soon! We booked a 1 bedroom apartment with an additional bed...the sofa. I received a call to confirm the room the day before, reconfirming that there was the additional bed. However when we arrived and pulled out the sofa we found that the bed was not made nor was there any linen left in the room. We had to ring the call centre to get them to bring the linen up which did occur with the additional towels also. The Sofa bed itself was terrible I basically slept on a bed of springs. The second night the receptionist provided me with an additional bed cover that we used in conjunction with 2 additional blankets to provide some comfort from the springs. The rest of the stay was pleasant though. Hi Natasha, Thank you for staying with us and providing us with your valuable feedback. I'm happy to report that we are currently undergoing a large refurbishment which includes brand new high quality sofa beds as well as new bedding. We look forward to having you back again to showcase the exciting changes!! Thanks Natasha! Hi Yuchuan, Thank you for your stay and review! 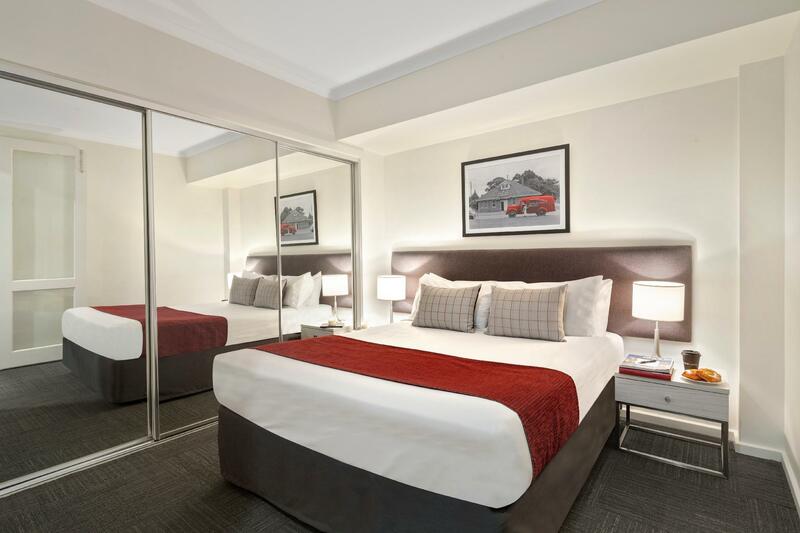 We're glad that you enjoy our location with close proximity to Box Hill CBD, and the 109 Box Hill Tram. We look forward to seeing you back again soon! I had to travel for medical reasons so my family were able to stay close to me, for support. Hi Anna, Thank you for staying with us and taking the time to provide us with your feedback! We are always happy to assist those attending the Box Hill or Epworth Eastern Hospital. If you ever need us, we'll be here for you. Thank you again! 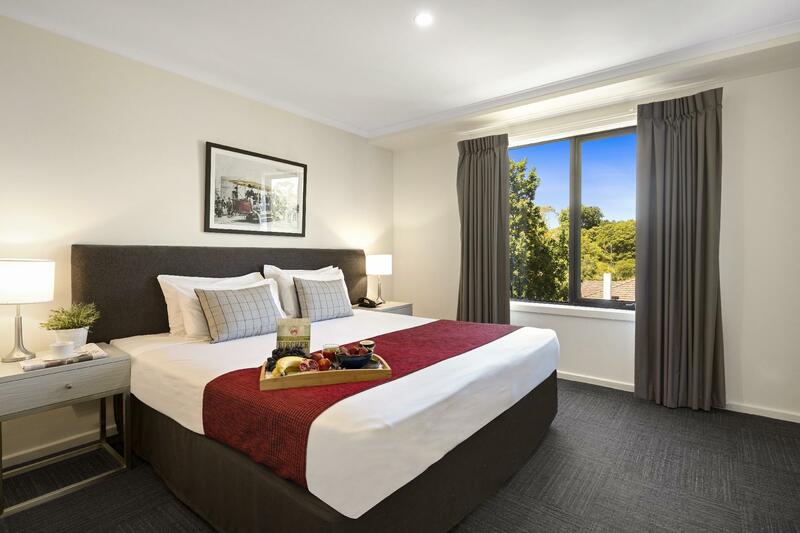 Hi Rex, Glad to hear you enjoyed your stay at Quest Mont Albert (Box Hill). It was a pleasure having you stay here and we look forward to seeing you back again soon! Thank you!! Location, the facilities, and the good bed. It was just what I needed as a base for doing things in the area. it's just an OK experience for my 7 days stay... house keeping was really so so as the bathroom utilities were refilled every day and some used and left over pack was there when I arrived. no services on sunday is also not appreciated. definitely over-charging and overrated. The staff are friendly, helpful. Firstly we got a call the night before due to arrive to say there was a problem with the accommodation, and that they were trying to find us accommodation elsewhere or down grade us to a 1 bedroom. We were told that there was a problem with the room, however we found out later that they had just overbooked. There was a terrible sewerage smell in the apartment coming from one of the bathrooms. The kitchen floor and entrance to veranda had not been cleaned and mopped they had left a disgusting sponge in the kitchen expecting us to use that. In saying all that the staff did go out of their way to fix any problems or get the room re-cleaned however it's not their fault that the accommodation is over rated. I would consider this a 3-3.5 star accommodation. Would I stay here again, no I'm too fussy. However if you a family on a budget, it's okay I guess. My only other comment would be that it is not close to any shops or cafe/restaurants not within walking distance anyway. 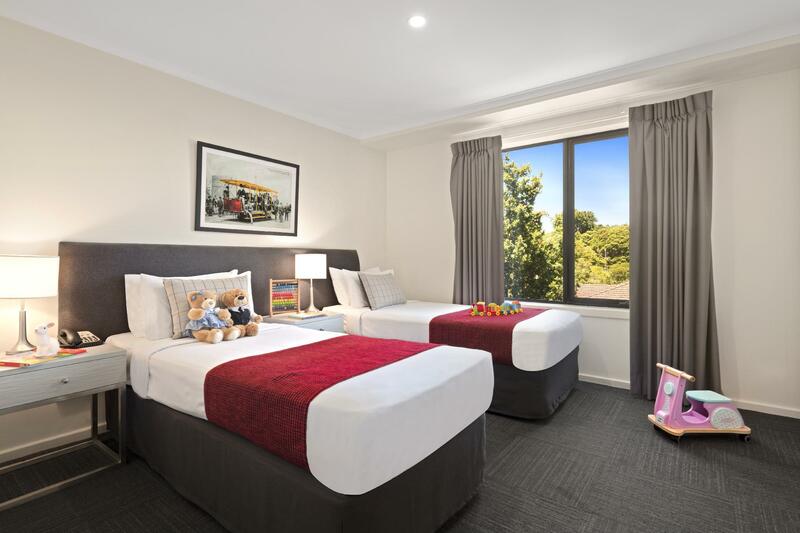 price is reasonable, friendly staff, rooms are clean, free car park, good place to stay for a family with young children if you have a car, or you can take tram which is walking distance.